Ajax captain Matthijs de Ligt admits he is open to a move to Serie A giants Juventus. The Netherlands international – who is likely to line up against Juve in next month's Champions League quarter-final – was fulsome in his praise of the Bianconeri's current defenders and hinted that he might be prepared to join them. "I really like [Giorgio] Chiellini, as he is one of the best defenders in the world," he told Tuttosport. "I also appreciate [Leonardo] Bonucci, so between them they are among the best centre-backs in Europe. "I could join them at Juventus, but we'll see at the right moment. For now, I am focused on Ajax and not my future. My agent is taking care of that." De Ligt is unsure whether he will come face-to-face with Cristiano Ronaldo in the Champions League last eight after the Portuguese superstar injured his thigh on international duty earlier this week. 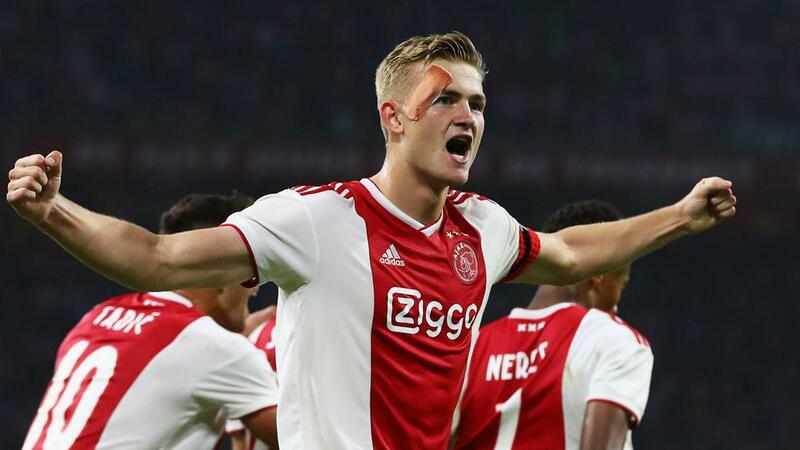 Juventus have said they will not rush the 34-year-old back but De Ligt says he will not be fazed if he is tasked with shackling the competition's all-time top goalscorer. "Cristiano Ronaldo is one of the best players in the world and Juventus are stronger with him, but on the other hand it'd be fascinating to face off with him," he explained. "I have already played against Ronaldo at international level and it was tough, but I have fond memories, as it was personally a positive game." The Dutch centre-back has managed four goals across 42 matches in all competitions for Ajax in 2018-19.